Sergio Aguero began his Manchester City career with an immediate impact in their 4-0 rout of Swansea. Sergio Aguero began his Manchester City career with an immediate impact after a half-hour cameo saw him score two and grab an assist in their 4-0 rout of Swansea on Monday. The £38million Argentine stole the show, including a stunning last-minute strike that demonstrated why he could be the key to a title challenge from Roberto Mancini's side, as he came on with the home side one goal to the good on the hour mark. 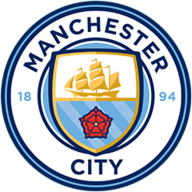 City had struggled to find their flow in the first period, although they created several chances towards the break, but once Edin Dzeko broke the deadlock on 57 minutes, it was one-way traffic at the Etihad Stadium. Aguero's contribution was excellent, but it was the industry and poise of David Silva that created the most openings against a Swansea team who were making their Premier League debut. The Spaniard was at the heart of City's second and Aguero's first, and got the goal he deserved for the third as Aguero failed to give up a lost cause and provided his team-mate with a simple finish. The fourth was simply sumptuous, with the former Atletico Madrid striker taking one look up to lash home from around 30 yards and have both City's supporters and Mancini delighted with their expensive investment. Aguero - signed as a likely replacement for last season's wantaway talisman Carlos Tevez, who was not in the squad - had been kept in reserve by Mancini due to a lack of match fitness. Yet there seemed no lack of sharpness when he finally entered the fray after being left on the bench throughout last week's Community Shield defeat. And with the tantalising prospect he could yet link up with compatriot Tevez, not to mention the outstanding Silva and Yaya Toure, City can expect to challenge for the title. The hosts, having named controversial striker Mario Balotelli among the substitutes, went straight on to the attack with Silva creating an early chance for Toure. The Ivorian struck a ferocious shot but Swans stand-in skipper Alan Tate - a player with the Welsh club throughout their eight-year journey from the foot of League Two to Premier League - blocked bravely. Yet aside from a good run by full debutant Gael Clichy, whose cross was too high for lone striker Dzeko, the hosts were initially quiet. 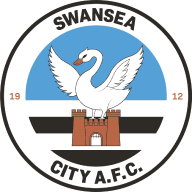 Swansea looked composed on the ball and, in Nathan Dyer, appeared to have a pacy outlet, even though they did not particularly worry the home side. Almost half-an-hour had gone before City finally started to warm up, but Swansea somehow withstood the fierce barrage they encountered before half-time. Silva almost found a way through when he combined with Nigel de Jong on the edge of the box but debutant goalkeeper Michel Vorm brilliantly saved his curling effort. The Dutchman also dealt comfortably with shots from Dzeko and Adam Johnson and breathed again when Silva showed great technique after an incisive City move to clip the bar. A home goal began to look inevitable as Clichy crossed low into the box but Toure was hurried into a shot and miskicked. Toure almost made up for that miss as he burst down the left to shoot from the edge of the box but Vorm tipped around the post. Silva had another good chance from the resulting corner but side-foot volleyed over. Toure and Dzeko had further chances before the interval but Vorm stood firm and Barry also rattled the bar seconds before the whistle. City kept up the pressure after the break as Toure burst forward at every opportunity and fired one chance wide. Swansea almost caught City on a rare counter-attack as Stephen Dobbie got forward but Joe Hart saved well from his powerful long-range effort. Despite that, City were still the more likely to score and their opener finally came after more fine work by Silva. The Spaniard used his strength to retain possession deep inside his own half and then set off on a charge to the edge of the opposite box. He fed Johnson out wide and although Vorm parried his curling shot, Dzeko was in the right place to divert the ball into the net as it rebounded quickly to him. The goal settled nerves at the Etihad Stadium and Mancini responded by introducing Aguero to popular acclaim. The Argentinian, who replaced De Jong, was soon in the action with a tricky run and shot that Vorm did well to stop. But the former Atletico Madrid man did not need much longer to make his mark, sliding on to a Micah Richards cross at the far post to double the lead. He created another goal moments later, lifting the ball over Vorm and then squaring on the volley, just as the ball was millimetres from crossing the byline, for Silva to tap in. Toure went close to adding a fourth with a free-kick which deflected off the wall and was clutched on the line by Vorm. It then seemed City were beginning to ease off and Swansea had a chance as Scott Sinclair muscled through to shoot but Hart was not tested. But James Milner replaced Silva late on and fired a free-kick straight at Vorm. And there was still time for more drama as Aguero capped his stunning debut with a 30-yard strike that flew past Vorm into the top corner in injury time.